With this module you can create as many tabs as you want in order to expand and organize the extra information to your product sheet. Have you ever needed an extra tab on the product page? If yes, then this module can help you. 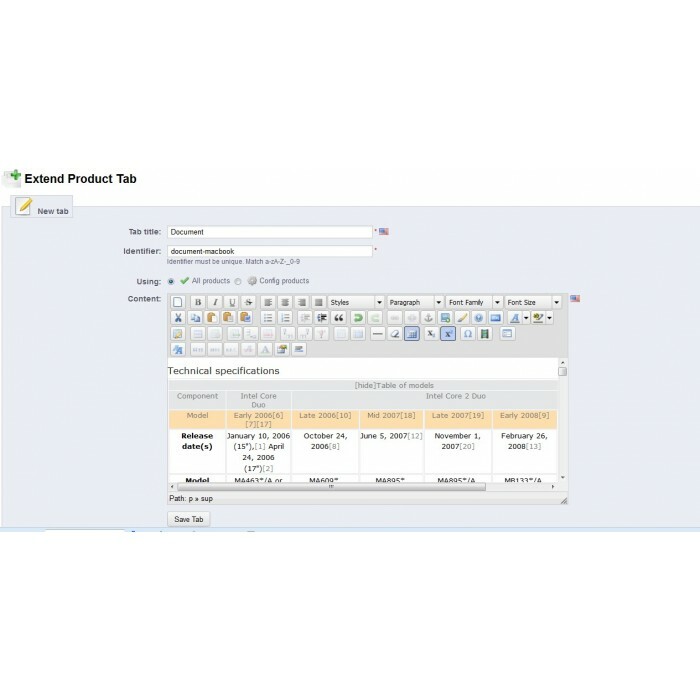 The modification adds a new tab to the product page where you can store additional information about a product. 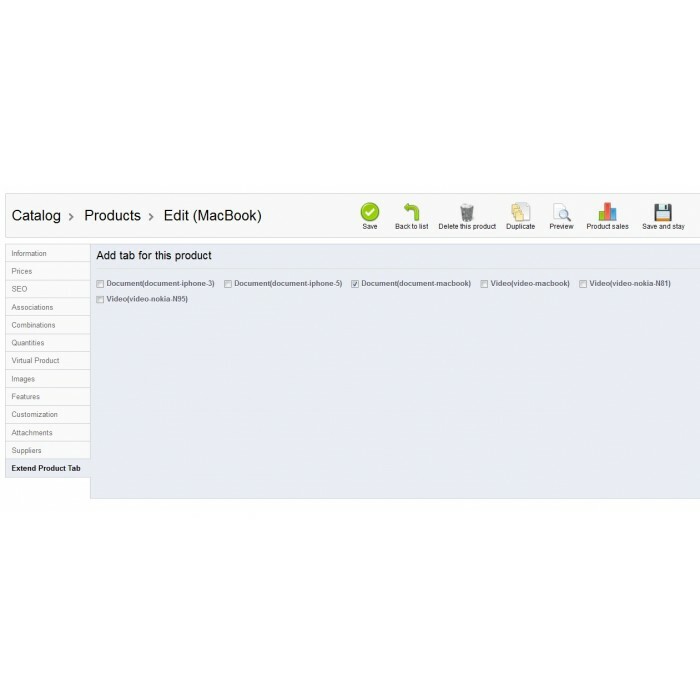 PrestaShop has only one tab showing the long description of your product, but with this module you can create as many tabs as you want to expand and organize the extra information to your product sheet.  Create as many tabs as you want without limits. 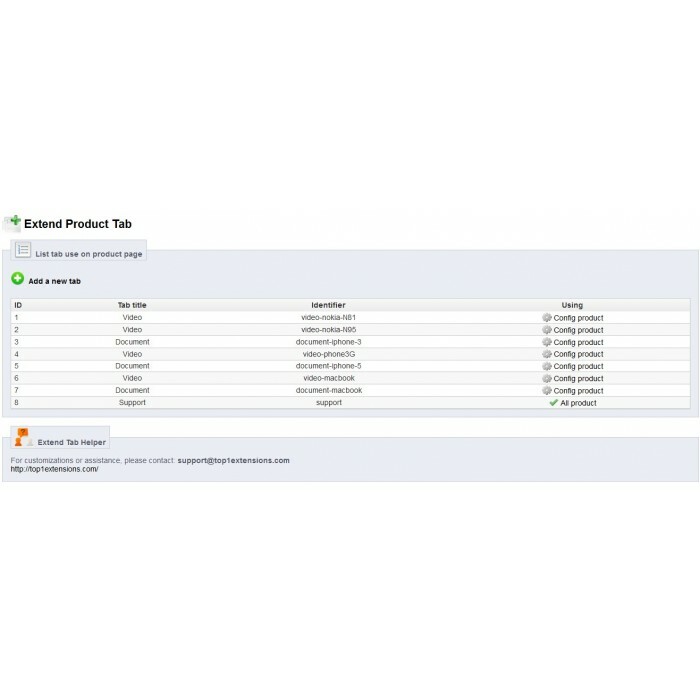  You can create tab for each of their products or set all products. 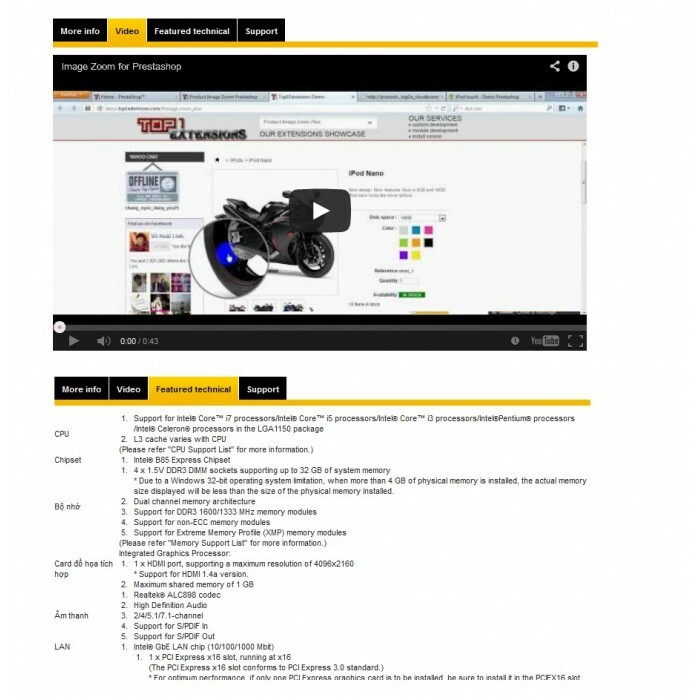 can add images, videos, flash and give different styles to content. Live Search Auto Complete module permet de rechercher des produits rapidement et facilement pour votre client. Il affichera les résultats instantanément tout en tapant dans une zone de saisie. The updated cart will be displayed without page refresh and a popup message will be shown after you add an item to cart, showing them information related to the product they just added to cart and they will be able to continue shopping or checkout. Size Guide Pro is a module to allow add the block size guide or any blocks html on your product page. You can use it to display information about size guide, shipping, returns, refunds, latest promotions etc.